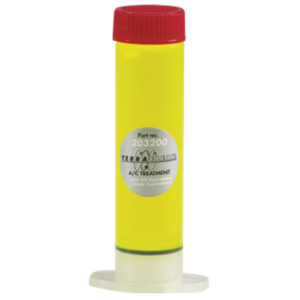 Fully compatible with R-134a, R-12, and R1234yf*. 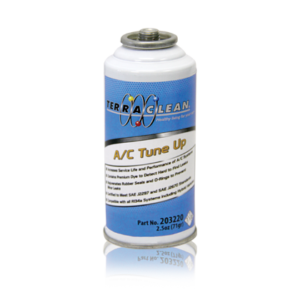 All automotive air conditioning systems leak – even new ones. 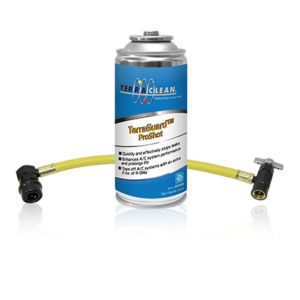 In fact the California Air Resource Board estimates that automobiles leak on average 85 grams per year. 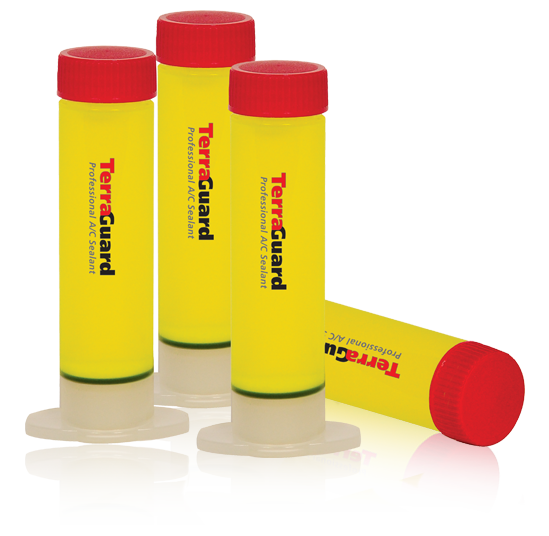 Terraguard is specially formulated to seal a leak rate of 709 grams per year. It reacts to oxygen and pressure – so there is no chance of harming recovery systems and will not harden, crystallize or clog the A/C system. 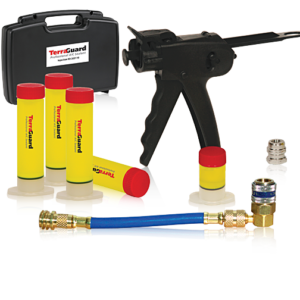 *Hose adapter assembly 471547 needs to be purchased in order to be compatible with R1234yf.